Which is rare while reading romance novels, I assure you. I've been reading them since I was 13, after all. I remembered that Julia Quinn had also written the Bridgerton series. I remembered wanting to read the Bridgertons, because it's about eight siblings and there are eight books in the series. I'm a sucker for a series. And stories about large families. The Bridgerton series begins in 1813. Violet and Edmund Bridgerton, Viscount Bridgerton, had eight children, who they named in alphabetical order: Anthony, now the viscount; Benedict, Colin, Daphne, Eloise, Francesca, Gregory and Hyacinth, who was born a few months after her father's death. Book 1 is about Daphne. Since she's the first daughter in the family, Violet Bridgerton is eager to have her married off. The next three books are about the older brothers, who are very close to each other. Book 5 is about Eloise, who was determined to remain unmarried, until her less popular, also spinster friend married. Francesca's story is about her second marriage. Hyacinth comes next and Gregory is the finale. 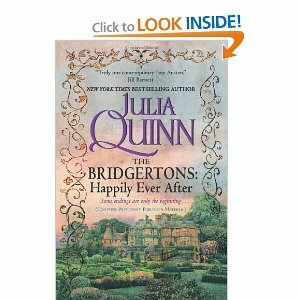 Julia Quinn also wrote short stories, which she called 2nd epilogues, for each Bridgerton--and they're in a collection called Bridgertons: Happily Ever After. The cover is above. My favorite character of the series: Penelope Featherington. My favorite Bridgerton spouse: Probably Gareth St. Clair. My favorite Bridgerton: I like Gregory the most, but I really liked all of them, actually. Including Violet, their mother. Biggest LOL moment: Possibly when Sir Philip is being threatened by the four Bridgerton brothers. Favorite overall part: the prologue to On The Way to the Wedding, the last book in the series. I also enjoyed how Julia Quinn weaved in medicine in the series. She gives various characters bee allergies, depression, malaria, a stutter and writes these conditions in a way that fits what people knew in the 1820s. 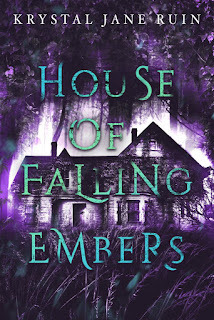 Plus, writing eight siblings and eight romances without the stories being repetitive is quite a feat.